Fiat Chairman John Elkann drives a Fiat 8V at the start of the “1000 Miglia” International classic car rally in Brescia. Elkann, 36, became Fiat's chairman in 2010. TURIN, Italy (Reuters) -- Whenever Sergio Marchionne, CEO of Fiat and Chrysler, appears in public, television crews jostle to beam his words around the globe. Amid the push and shove it's easy to miss the tall, curly-headed young man who often looks on from the sidelines. 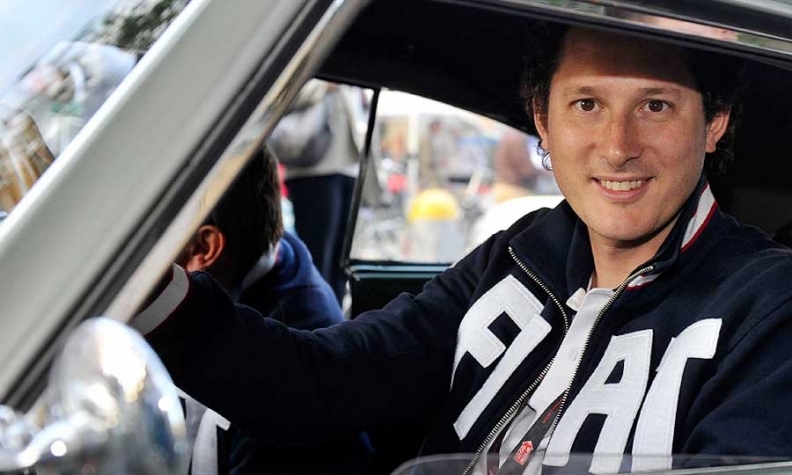 He's John Elkann. And he's Marchionne's boss. The 36-year-old scion of Italy's powerful Agnelli clan became vice chairman of Fiat -- founded and still controlled by his family -- just under a decade ago, and chairman in 2010. For years, his was the saga of a shy, awkward young heir thrust prematurely into corporate leadership by family tragedy. No more. Now Elkann is taking the key role in answering the question that faces his family's firm: Is what's good for Italy really good for Fiat anymore? The question evokes the famous statement -- "I thought that what was good for America was good for General Motors and vice versa" - by Charles "Engine Charlie" Wilson, then the president of GM, 60 years ago. Nobody is calling Elkann "Engine Johnnie." But many thought Fiat had outgrown Italy in 2009 when it snapped up a controlling stake in Chrysler and left Elkann to wrestle with the politically potent question of how closely the family firm, long the symbol of corporate Italy, should remain tied to the troubled economy of its home country. Elkann's answer came on October 30, when Fiat announced it would increase its investments by almost 50 percent -- to a total of 16-18 billion euros ($20-23 billion) -- in the next few years. That includes billions to re-tool its five under-used Italian factories and to push its Maserati and Alfa Romeo brands, with venerable names but checkered reputations, into direct conflict with Germany's formidable luxury-car troika of BMW , Mercedes-Benz and Audi . If Alfa-Romeo and Maserati succeed, they'll reduce Fiat's heavy reliance on commoditized small cars in Italy and southern Europe, ground zero for the continental crisis. But if they fail, the consequences will be harsh. Europe's mass-market brands, not just Fiat but also Ford, Peugeot, and Opel, are reeling from Europe's slumping car market and each will lose $1 billion or more this year. Ford and Peugeot have announced plant closings to trim losses, in sharp contrast to Fiat. In short, the new moves amount to Elkann's boldest and riskiest bet on the future of Fiat and the Agnelli fortune. Marchionne and Elkann, pictured earlier this year, are in daily contact as they navigate Italy's troubled business climate. People who know Elkann well say he can afford to indulge any sentimental ties to Italy because he has already diversified his family's investment portfolio of 7.5 billion euros away from Italy and from cars. Elkann has not commented on the move, and declined to be interviewed for this story. So far he is leaving the explaining to Marchionne, in keeping with their respective characters. The two men, in daily contact, are a study in contrasts. Elkann is tall, blond and soft-spoken, given to awkward silences during conversations. Marchionne, 60, is rumpled, dark and tart-tongued, reveling in his super-star reputation for pulling Fiat from the brink of bankruptcy eight years ago. Marchionne engineered Fiat's takeover of Chrysler after the U.S. firm's 2009 bankruptcy, and has led a Fiat product revival. Fiat executives say the old American quip about the brand's quality -- "Fix It Again, Tony" -- has given way to a new play on Fiat's initials: Fine Innovation And Technology. But the source of Marchionne's power is Elkann, who helped pluck the CEO from Swiss-based, Agnelli-owned SGS to run Fiat in 2004. SGS provides global inspection and certification services. Elkann controls Fiat through a layer-cake structure of family companies. The first is Exor, a Milan-listed holding company which in turn is controlled by an unlisted limited partnership called Giovanni Agnelli e C., which is the forum for family decision-making. All 90 family shareholders gather once a year for an annual meeting. But in a structure designed to avoid family fights, Elkann holds the largest number of partnership shares and thus makes final decisions. A few years later Elkann's younger brother, Lapo, nearly died of a drug overdose, and lost his marketing post at Fiat. Then in 2007 their mother sued John over her inheritance, sparking a three-year courtroom and family battle. He and his mother see each other rarely. "It was very difficult for John," one sympathetic member of the Agnelli clan recalls. "He learned not to trust people." 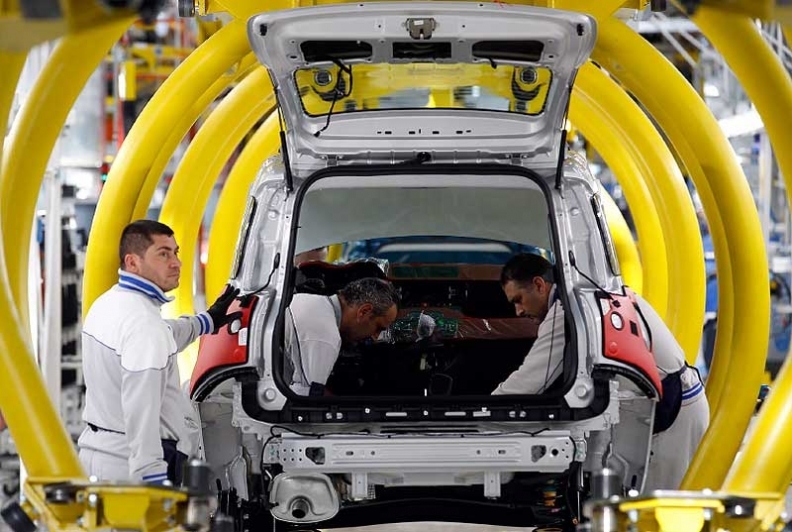 Fiat employees work on a new Panda at the Fiat plant in Pomigliano D'Arco, near Naples. When he inherited Fiat, Elkann got much more than a company. Just as General Motors and Ford have shaped America, Fiat's history is tightly entwined with Italy's transformation from a poor agricultural nation to a top industrial power. Elkann's stewardship has been complicated by the Agnellis' prominent social role as Italian capitalism's "first family." This heritage means that shrinking car sales creates a problem that goes beyond mere numbers. Fiat expects to lose 700 million euros in Europe this year, while profits -- 286 million euros in the third quarter -- have been propped up by a resurgent Chrysler. But some Italians have seen the firm's recent lack of investment in new models as treasonous. That may be why Fiat recently added a sixth Italian factory to build new Maserati models for export. 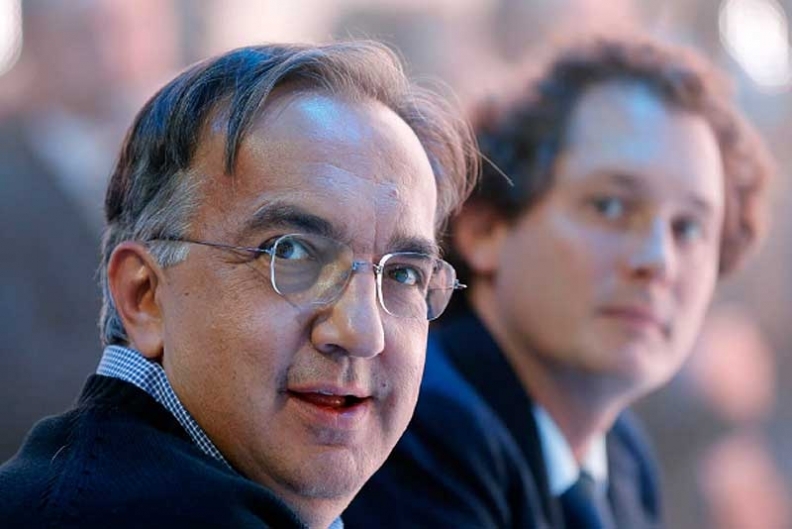 Both Elkann and Marchionne have repeatedly said the company does not intend to close its Italian factories, though it has long idled five around the country, drawing the ire of union leaders, politicians, car dealers, parts suppliers, and even the government. Elkann meets regularly with Prime Minister Mario Monti, an old family friend who has served on Fiat's board. At a Sept. 22 meeting both Elkann and his CEO complained about the obstacles faced by companies doing business in Italy, said a person briefed on the meeting. "The meeting persuaded the government that it needed to improve the ability of companies to export out of Italy," the person said, referring to possible tax cuts for exporters. But business leaders like Diego Della Valle, chairman of shoe and leather goods-maker Tod's, and Florence's ambitious mayor Matteo Renzi, increasingly paint the family as the uncaring face of Italy's old guard. "The Agnelli family should open its wallet and invest," Della Valle said on a television talk show in September. "Otherwise it should go back to doing what it does best: great skiing, great sailing. Go back to playing golf and leave Italy's problems to serious people." Marchionne has taken most of the heat for Fiat's decisions, but some people say Elkann needs to speak up more. "They give the impression they don't care," said a Milan banker. "Either he quickly corrects this attitude or the criticism will get worse." The real challenge for Elkann is how to diversify the Agnelli family's investment portfolio. He is making progress. Ten years ago, when Elkann's grandfather died, the bulk of the company's investments were in Italy and France. By last year, one third of revenue came from North America, 38 percent from Europe, and 29 percent from the rest of the world. The firm owns 69.3 percent of New York-based real estate company Cushman & Wakefield, a controlling stake in Turin's Juventus soccer team, 17.4 percent in Milan-based Banca Leonardo, 18.7 percent of French paper-maker Sequana , and 4.7 percent of British news magazine The Economist. Cars account for just 20 percent of revenue. But many still see Exor as simply the owner of an Italian automaker. "There is still a noticeable mismatch in perception of where our shares happen to be listed and where our businesses actually generate their revenues and profits," Elkann pointed out in Exor's letter to shareholders earlier this year. Exor has a BBB+ Standard & Poor's credit rating and about 750 million euros to spend. But Elkann is a cautious investor, the family member said, in part because he saw Fiat lose money through bad investment decisions a dozen years ago. A spin-off of Ferrari from Fiat would increase the value of Exor, analysts say. But Elkann shows little inclination to sell it or Alfa Romeo. Another solution would be to merge Fiat with Chrysler, which would increase its value, but might mean moving the group's corporate headquarters out of Italy. Elkann is ready to do this if it is good for the company, people who know him say, though it would spark an uproar in Italy. He has also said he would dilute the family's control of Fiat -- something the Peugeot family has not been willing to do with their firm. Elkann spends his free time with his wife Lavinia Borromeo, a former model from one of Italy's oldest aristocratic families, and their three children. Elkann lives in Turin but spends half his time traveling, mostly in the United States, where he visits New York, Detroit, Chicago, Los Angeles and Washington D.C. He chats with William Clay Ford Jr., Henry Ford's great-grandson and executive chairman of Ford Motor. The relationship between the Agnellis and the Fords goes back to the start of the 20th century, when Giovanni Agnelli, Fiat's founder, traveled to Detroit to meet Henry. Gianni Agnelli kept a photo of Giovanni with Henry Ford on his desk. "John is very thoughtful, and I think he is wise beyond his years," said Byron Trott, founder of Chicago-based BDT Capital, which invests in and advises large family-controlled companies, including Exor. "People comment about how young he is, but frankly he is a visionary on a global scale and can stand with any experienced businessman on any topic." While many of his U.S. contacts stem from his grandfather, Elkann has built his own network in China, where he met Chinese Prime Minister Wen Jiabao last year. He also attends meetings of the International Business Leaders' Advisory Council in Shanghai. In Turin, Elkann sits in an office opposite Marchionne's in a building next to the Renzo Piano-designed renovation of a factory. He has sold the family villa in downtown Turin where Exor used to have its offices. He has a black-and-white photo of his ancestors on his desk, photos of his children scattered about, and modern art hanging on the walls. In a corner is a model of Mephistopheles, a barrel-shaped red Fiat that broke the world speed record in 1924. He spends his free time with his wife Lavinia Borromeo, a former model from one of Italy's oldest aristocratic families, and their three children, Leone, Oceano and Vita. Earlier this year, Elkann and his wife drove a vintage Fiat through the Italian peninsula in the historic Mille Miglia road rally, sending Twitter messages and photos along the way. The mix of history and modernity is obvious in other ways. On a 2008 trek with Lavinia in Bhutan, John was given a fabric neck cord by a monk who said it would help keep him safe. He wears it around his neck all the time. When he briefly lost it on a Miami-New York sailing race this year, he and the entire crew were worried until he found it again. With his big bets on the future of Fiat and the family fortune, he might need it. For the magazine version of this special report along with additional photos and graphics, click here.